Come see us at Leon and Lulu! Book on over to Leon & Lulu from 11 a.m. to 5 p.m. Sunday, April 30 for a brand new spring edition of the retailer's award-winning Books & Authors event. This will mark the ninth Books & Authors event at Leon & Lulu. 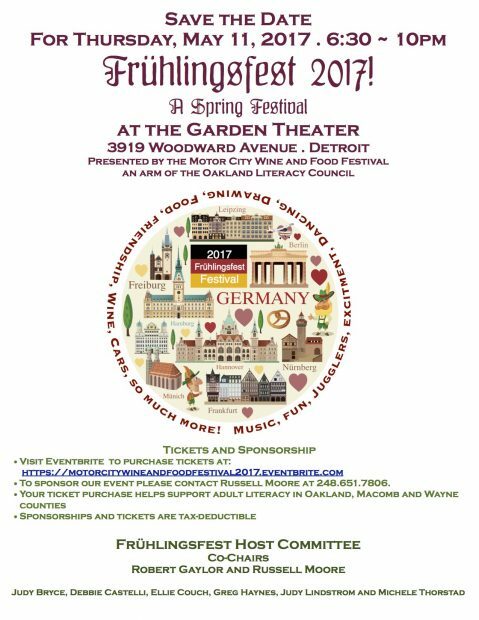 The event - formerly held only once a year in October - is a juried book fair featuring mostly Michigan writers. Guests will now have the chance to mix and mingle with up to 60 authors who will sell and sign books, twice annually. "Books & Authors has just exploded with popularity with changes in the industry, making book publishing more accessible to talented authors," says Mary Liz Curtin, co-owner of Leon & Lulu. "Hosting the event twice a year will allow new authors to meet their adoring fans. This year we're again working with the wonderful folks at the Oakland Literacy Council, who provide the basic literacy and English language instruction necessary for adults in our community to find employment." 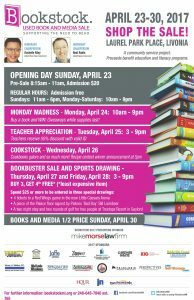 The Oakland Literacy Council will be on hand to greet shoppers and 10% of the day's proceeds will be donated to the nonprofit agency. With a nod to Independent Book Store Day, the April 30 Books & Authors also will give guests the chance to check out Leon & Lulu's new Three Cats Café, which is next door at The Show. Here writers will read excerpts of their work from 11:30 a.m. to 4:15 p.m. where patrons can enjoy baked goods and coffee drinks, or lunch until 3 p.m., while listening. Shake the ink-stained hands of local authors and celebrate reading, writing, and really good hot dogs at Leon & Lulu's Books & Authors event April 30. For a full list of expected authors, please visit www.leonandlulu.com/meet-the-authors. Admission is free and the event is open to the public. For more information, visit www.leonandlulu.com. Find Leon & Lulu on Facebook at www.facebook.com/leonandlulu. To learn more about Three Cats Café, go to www.threecatscafe.com. Daily lunch offerings are published here www.facebook.com/threecatscafe. The Oakland Literacy Council is seeking a part-time tutor coordinator to support and train the volunteer tutors that help over 300 low-literacy adults each year. For more information view the Job Description. Over 110 guests gathered at the Village Club in Bloomfield Hills on October 13th to hear best-selling author Johnathan Rand discuss the link between his writing and adult literacy. 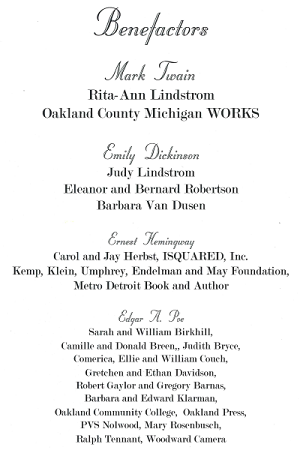 The Ex-Libris event, in its 27th year, is an annual dinner that supports the work of the Oakland Literacy Council. 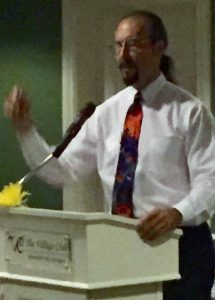 Johnathan Rand, the bestselling author of dozens of suspense books for adults and children including the American Chillers series, shared a powerful and moving personal story of connecting with an adult learning to read through his books. Attendees also heard from Ossie Tate, a student in the Oakland Literacy Council program who has made remarkable progress. Tate talked about his reading problem as, "one of the most shameful things I have ever experienced was not be able to read. The shame that I carried all of these years because I didn't want anyone to know find out I couldn't read." Once again Leon & Lulu in Clawson will be opening their doors to local authors in support of adult literacy. More than 60 authors will be on hand throughout the store to share their reading and writing works with curious shoppers on Sunday October 23rd from 11 am – 5 pm. The Oakland Literacy Council recently launched a Back to Basics fundraising campaign to increase the number of adult basic education students. All donations made to this campaign will be doubled up to $25,000 by a match provided by the Board of Directors and other generous donors. In Oakland County, over 100,000 people lack basic literacy skills and need the one-on-one tutoring help that the Oakland Literacy Council provides. The Back to Basics initiative strives to increase the number of adults receiving basic education tutoring by 65%. Donations will be used to serve more students like James. 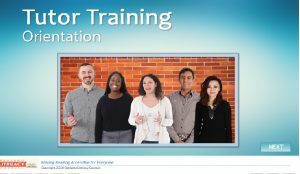 A professionally designed, interactive online training course is now being offered to new volunteers which reduces the amount of time needed to become a trained tutor for the Oakland Literacy Council. The Oakland Literacy Council has now made it easier than ever to help adults improve their English skills. The Council provides free one-on-one tutoring for adults seeking better job skills, a high school credential, citizenship, or to help their child become successful learners. 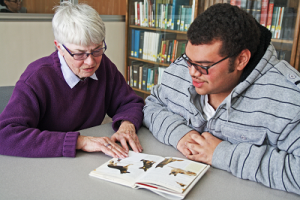 The Council relies on trained volunteer tutors who meet with students for two hours each week in local libraries, coffee shops, and other public buildings throughout Oakland County. The Oakland Literacy Council has revamped its tutor training. We have added an online e-course where you learn about the OLC, its students and what it takes to be a good tutor. This course should take less than an hour to complete. After completing the online course you can register for a six hour training. After completing that training you will be matched with a student. After meeting with your student you are asked to come back and take an hour and a half training about planning your lesson. If the length of the training was keeping you from becoming a tutor-- now is the time. If you would to become a tutor, start here. Read our quarterly newsletter Literacy Matters to find out more about what we have done and what is coming up. 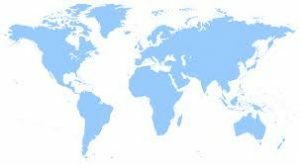 Adult with learning disability gets lifelong wish to read well…New conversation groups spring up around Oakland County…Looming funding cuts to adult education…Experience abroad inspires tutor to help English language learners. Check out these articles about Oakland Literacy Council! Speak to one of our staff members. Learn about getting paired with someone in your community.